Kippax Welfare climbed out of the bottom three in Division One of the Wetherby League when they came out on top thanks to a strong all-round display in their local derby with Ledsham. 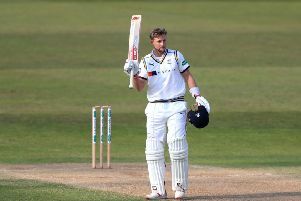 A number of players contributed to an 103-run success that gave Welfare their second win and first maximum point success since promotion to the top flight. Kippax went in first and after an early setback began to build a big score. Dan Hall (26) and Mohammed Nadim (52) came together for a second wicket stand then there were contributions all down the order with Moosa Bhoola hitting 41, Zakaria Valimulla 30, Wasim Patel 50 not out and Intekhab Ravat 23 not out as Welfare totalled 275-8. Ledsham, for who Paul Dewhirst took 3-85 and Freddie Dewhirst 2-48, started their reply well enough through openers Josh Ware (33) and John Speight (22), but although Freddie Dewhirst hit 57 they were all out for 172. Zuber Patel, with 4-48, was the pick of the Kippax attack with two wickets each for Bhoola, Ravat and Imran Mohammed Pandor. Ledsham A went down by three wickets to Hillam & Monk Fryston A in Division Four. Batting first, Ledsham posted a 147 total with Chris Woodall (53) top scoring and other contributions coming from Mitchell Morley (32), Cam Williams (25) and Harry Woodall (23). In reply, Hillam looked to be heading for defeat when seven wickets down, but a match winning unbroken stand between Thomas Richardson (26 not out) and Stephen Venables (24 not out) brought them home. Jack Hey took 3-19 for Ledsham with Woodall claiming 2-21. Kippax A had their Division Three game against Wetherby A abandoned without a ball being bowled.